Petal To The Metal Floral Design, winner of the People’s Choice Award for Best Floral Arrangement at the Melbourne Market’s Stand at the Melbourne International Flower and Garden Show 2013. We learnt that from over 3,500 votes, nearly 25% selected our display, which was pretty mind blowing for us. The design and installation took many long hours to create but was definitely rewarding in the end. We wanted to push the boundaries with our creation and we feel we did that but without with the design. 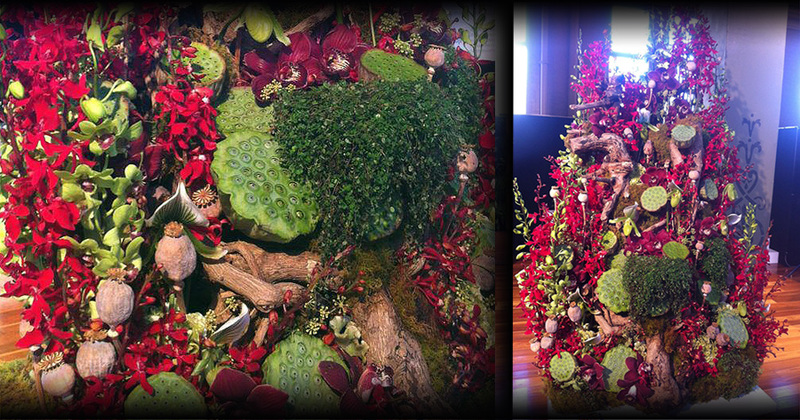 We used driftwood, orchids, lotus pods and moss. We look forward to entering the MIFGS again in 2016.